Orlando, FL USA – The Inka Road, one of history’s monumental engineering achievements, connected much of South America during the Inka Empire. The National Museum of the American Indian (NMAI) in Washington, D.C. has opened an exhibition documenting the 24,000-mile marvel. 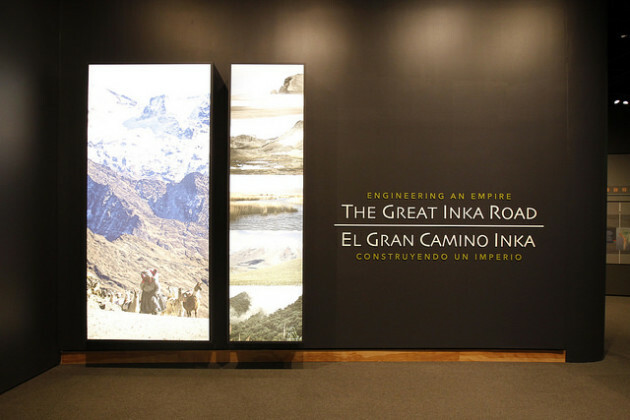 “The Great Inka Road: Engineering an Empire” shows how the thoroughfare crossed mountains, deserts and rivers to link the far reaches of the Inka world. Dating from the 14th century, the road still serves contemporary Andean communities. 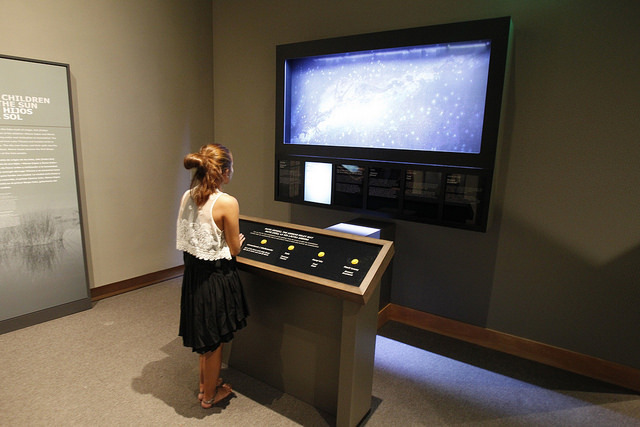 Electrosonic installed a two-channel A/V Binloop HD to drive two of the museum-produced videos in the exhibition. One channel feeds a small theater playing “The Living Road.” It shows the continuity of Inka culture today, how the road binds communities together and how the traditions of the ancestors live on. The second channel drives a 32-inch LED display which plays “Inka Road Flyover.” This animated map demonstrates the magnitude, complexity and enormous scale of the road system. Electrosonic also deployed Alcorn McBride’s AM-4 Digital Audio Machine to feed a single overhead speaker to accompany a video on the “Purification Ritual.” In that segment an older man recalls his boyhood when he had to bathe himself before entering the sacred Inka capital of Cusco. The exhibition at NMAI runs through June 1, 2018.